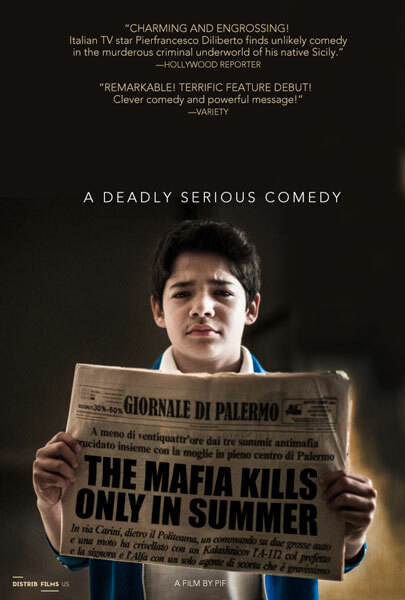 Whilst it has been very well received in Europe, I can only assume that there is a particular cultural connection that has played a part in its success because, whilst it is amusing at times, The Mafia Only Kills in Summer is a problematic attempt at delivering a satirical examination of life in Palermo, Italy throughout the ‘70’s and ‘80’s when the Sicilian Mafia (Cosa Notra) were seemingly free to engage in all manner of deadly violence at will. Akin to Forrest Gump in that it incorporates historical footage within the fictional narrative and similar to Life is Beautiful in that the uses humour to explore an issue that is not typically regarded as amusing – namely the murder of priests, politicians and judges – The Mafia Only Kills is Summer is, like both of these films, plagued by a lead character who is very, very annoying. The Mafia Only Kills in Summer wants to be many things – comedy, drama, romance – and, as a result, the mood fluctuates from scene to scene. Writer/director Pierfrancesco Diliberto – who is apparently a television satirist of some repute in Italy – is utterly devoid of charisma or charm as Arturo, a bumbling n’er-do-well whose life is inexplicably linked to the mafia murders that occur at regular intervals, a premise that is proffered in the opening minute or so when Arturo declares, via voiceover, that his conception occurred at the exact same moment that a notorious mafia hit known as the Lazio Street Massacre was taking place in the same building. 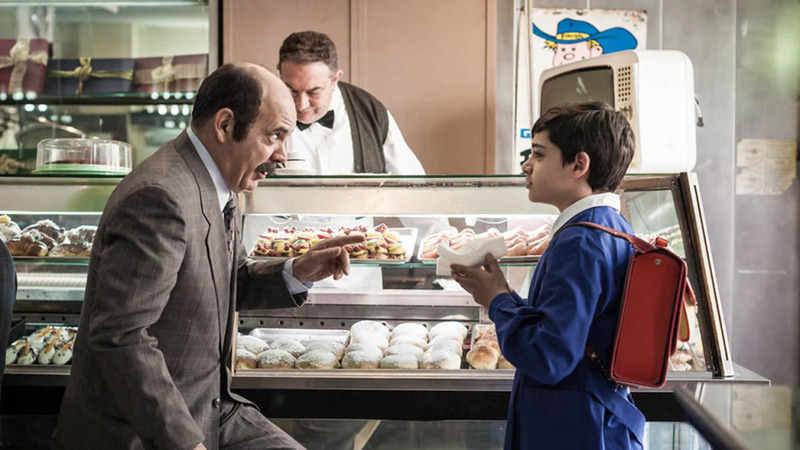 The first portion of the film centres on Arturo as a schoolboy (Alex Bisconti) obsessed with both Italian Prime Minister Giulio Andreotti and Flora, the new girl in class. His efforts to impress Flora (Ginevra Antona) never pan out as planned and when he is persistently being told by the adults in his life that the various killings around town are men being punished for their dalliances with women, he starts to worry about the potential perils of falling in love. Of course, we can’t ignore the fact that blaming women for the violence – even if it was simply as a means of trying to avoid explaining the real reasons for the bloodshed – is, at best, a somewhat simplistic narrative contrivance and, at worst, a reflection of a misogynistic mindset. When Flora’s father finds himself in the sights of an investigation into his mafia connections, she is whisked off to Switzerland. Gender politics aside, the first half of the film is the best as the young Arturo, who is a cross between Sam from Wes Anderson’s Moonlight Kingdom and Dewey from TV’s Malcolm in the Middle, plots ways to secure Flora’s interest. Interspersed amongst this cutesy romantic pursuit is news reportage and video footage of real mafia murders, with fictionalised versions of some of the victims amongst the people that Arturo meets. These images offer only the briefest glimpse of the violence that ensued during this period and the film certainly suggests a degree of nonchalance amongst the population with regard to the attacks. It is when we are expected to accept the 40-something Diliberto as a young man still trying to find his place in the world that credibility becomes stretched almost to breaking point. Without a job and having achieved nothing of consequence, Arturo is hired as a keyboard player on a television talk show (even though there has been no inkling of any musical talent until now). 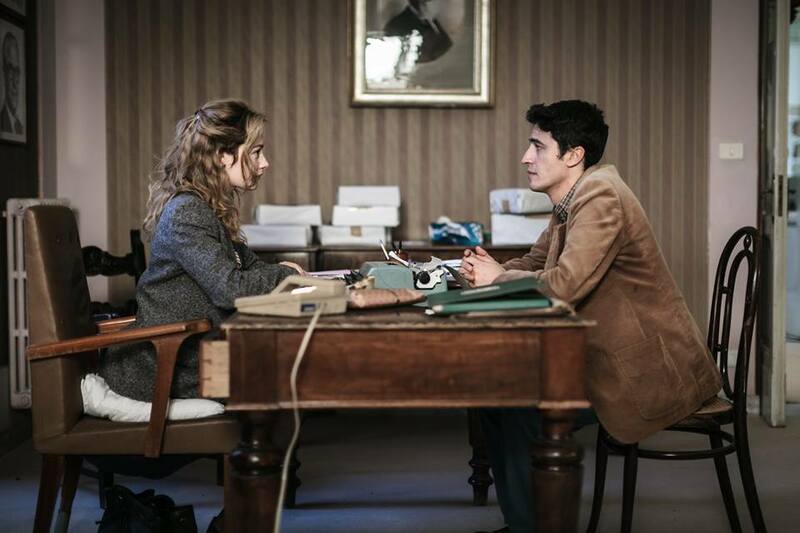 When Flora (played as an adult by Cristiana Capotondi) returns to Palermo as an advisor to a political candidate, Arturo is smitten all over again and sets out to make amends for his past failings. The sudden changes in tone from comic romance to moments of violence are disconcerting and it is difficult to know exactly what Diliberto’s intention is with regard this approach. It seems that perhaps he is trying to demonstrate how the vast majority of those living in Palermo simply went about their lives in the midst of the rampant corruption and criminality. Ultimately though, it is not the lack of clarity in this regard that hampers The Mafia Only Kills in Summer the most, it is the fact that it is simply hard to believe in, or like for that matter, the lead character. A political comedy lampooning the mafia is a noble, and perhaps brave, undertaking, but ultimately the film comes across as self-indulgence more so than a meaningful dialogue on criminality, which might be easy enough to overlook if the romance narrative offered something new.